You’ve probably heard the acronym API tossed around in recent years. 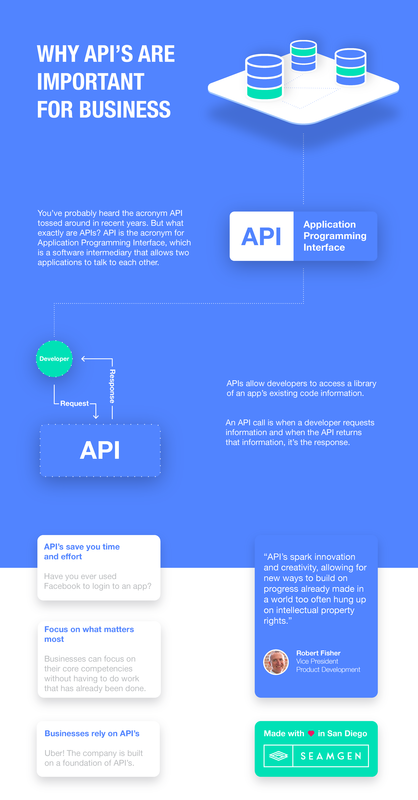 But what exactly are API’s? API is the acronym for Application Programming Interface, which is a software intermediary that allows two applications to talk to each other. APIs allow developers to access a library of an app’s existing code information. Have you ever used Facebook to login to an app? Businesses can focus on their core competencies without having to do work that has already been done. Uber! The company is built on a foundation of API’s.